If life experience is a good teacher, Ted Sangalis has a solid education. Over the years, Ted has traveled around the country serving customers with Consolidated Freightways in New York City, SC Johnson & Son in Racine, Wisconsin, and Topeka, Kansas, and then moving to Chicago on behalf of the Mentholatum Company. 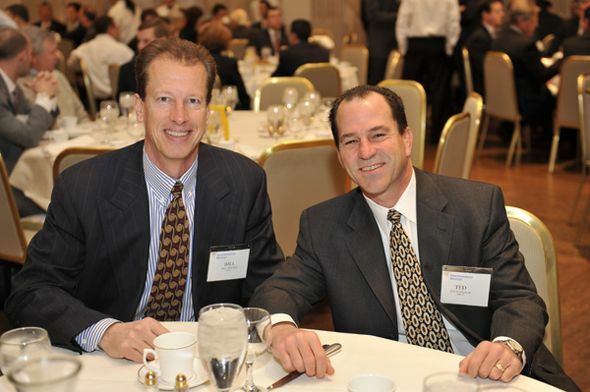 But it’s Ted Sangalis’ father, Dean, whom Ted credits with his move to Northwestern Mutual almost three decades ago. Dean Sangalis has been with the network for 60 years, and Ted’s brother-in-law, John McTigue, is the recently retired managing partner of the Chicago network office. What convinced Ted Sangalis that Northwestern Mutual was, and remains, right for him? The opportunity to apply his core values each and every day to the people he enjoys serving. Those core values are honesty and doing what's right for the client. Ted has earned numerous awards throughout his career, including the National Sales Achievement Award (1989-2010), National Quality Award (1989-2010), and Million Dollar Round Table Qualifiying (1990, 1992-1998) and Qualifiying Life Member Awards (1999-2014).